A diamond ring is an important, meaningful purchase, and it should reflect the wearer and the relationship. The good news is that there are plenty of diamond shapes to choose from, so you can always find the right shape that suits your style. Explore the most popular diamond shapes to narrow down your choices and select the perfect fit. A round cut diamond is the most popular diamond shape in the United States. There's a good reason for that: A round cut is universally appealing. The cut of a round diamond means that it refracts light wonderfully, creating a stunning piece of Jewelry that is guaranteed to attract attention. 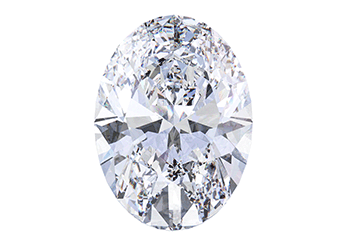 In fact, this shape is often called the round brilliant cut, which highlights its truly sparkling tendencies. A round diamond is classic and elegant, and it's been a long-time favorite for many. You simply can't go wrong with this classic diamond shape. Even celebrities like Alison Brie and Kate Mara wear round diamond rings, another sure sign that this shape is a winner. LA princess cut is one of the newer diamond shapes. This design boasts a square shape with 90-degree corners. A princess cut diamond is absolutely regal, and it is the ultimate choice for those who want a glorious statement piece. 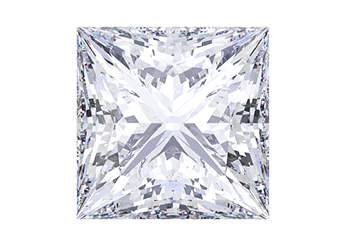 Because of the way that it is cut, a princess diamond reflects light in a unique style. The corners can boast beautiful hues while the center of the diamond draws in the eye. Plenty of classic beauties have worn princess cut diamond rings. America's sweetheart Hilary Duff and stunner Kate Bosworth both wear princess cut Diamonds. If you're in the market for a ring that is classic, gorgeous and eye-catching, then a princess cut is the ideal fit. 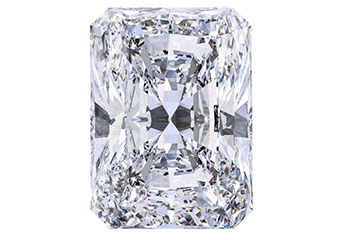 A cushion cut diamond, also known as a pillow cut, is shaped with larger facets. It usually has rounded corners and either a square or rectangular shape. The cushion cut was incredibly popular among wealthy women in the 19th century, and some of today's most incredible Diamonds can be found in this distinct style. If you're looking for a gorgeous ring that also has a vintage feel, or if you're planning to invest in a serious diamond, then a cushion cut shows it off wonderfully. Cushion cut Diamonds are recommended for women with confidence and personality. Just two of the celebrities that wear cushion cut Diamonds are Kim Kardashian and Sofia Vergara. This diamond shape will instantly draw in the eye and impress. It is designed to be seen and shown off. For those who are in the market for a diamond with excellent clarity, an emerald cut can be a fantastic way to show off that clarity. An emerald cut diamond is typically rectangular, and it also boasts rectangular facets. That means a highly transparent diamond that is elegant and time-honored. Some of the most impressive, famed women in the world wear emerald cut Diamonds. It's the shape that Jay-Z presented to Beyonce and the ring that George Clooney gave to Amal Alamuddin. And, of course, it's what none other than Mariah Carey wears. So if you opt for an emerald cut diamond, then you'll be in some truly remarkable company. What do Kate Middleton, Princess Diana and Blake Lively all have in common? They have all worn oval engagement rings. 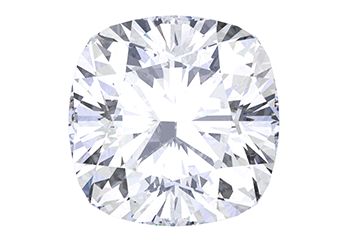 The oval diamond is a gorgeous shape that has the same number of facets as a round cut. That makes it just as brilliant, but it is also an elongated shape. 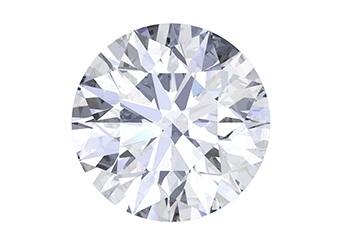 Because of the way that the oval diamond is cut, it can look larger than a round diamond of the same carat size. So if you're looking to make a big impression while also getting your money's worth, an oval diamond can be a smart choice. Plus, it's a brilliant and reflective cut that will wow all your nearest and dearest. A radiant diamond is a newer shape that has only been around for about 20 years. While it might be a new shape, it is certainly taking the world by storm. The shape itself is a fantastic combination of the more traditional round cut and the interesting emerald shape. This mixture results in a diamond design that is nearly square, but with a slight rectangular orientation. The trimmed corners give it a special look, and it's a very modern style for contemporary brides. A radiant cut diamond is a show-stopping piece, and there's no way to deny it. Everyone from Jennifer Aniston to Drew Barrymore has worn a radiant cut diamond ring. 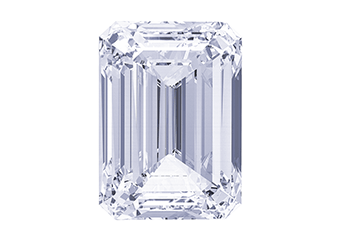 Asscher cut Diamonds are named after the diamond cutter who created them: Joseph Asscher. The asscher cut is similar in many ways to the emerald cut, especially when it comes to facets and brilliance. However, this particular diamond shape is more square than rectangle. This is an excellent choice for those who want a hint of vintage flair for their diamond rings. 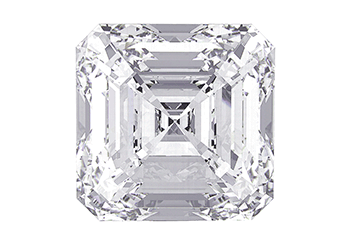 The asscher cut has a history of more than a 100 years, but it is seeing a resurgence. Many celebrities like Gwyneth Paltrow, Jessica Alba and Pippa Middleton rocked asscher cut diamond rings. If you're looking for shine as well as a slightly different take on a classic cut, then the asscher might be the perfect diamond shape for your ring. Do you have a flair for the dramatic? The marquise cut is a diamond shape that simply can't be ignored. It is one of the more unusual diamond shapes, which sets it apart and makes it an unmistakable design. A marquise cut diamond is oval, but with pointed ends to elongate the shape. The length-to-width ratio is unique, and it has the effect of elongating and even slimming the hands of the wearer. Legend has is that the marquise diamond cut was developed for Louis XIV to present to the Marquise de Pompadour. Some of the women who wear marquise cut Diamonds proudly today include Christina Milian and Portia de Rossi. When buying a diamond ring for a loved one, what could be a better symbol than a diamond in a heart shape? A heart cut diamond looks like just the iconic shape of romantic affection. When romance is on your mind, this is the ideal way to showcase love. 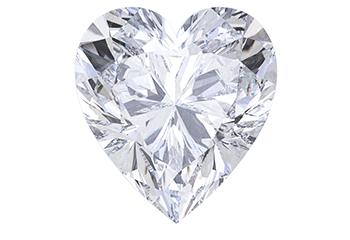 Heart Diamonds are incredibly popular as engagement rings or as anniversary rings. The heart shape is challenging to cut, which means that it is something you'll often find through high-quality jewelers and diamond cutters. A heart shaped diamond is the right pick for a person who wears their heart on their sleeve. Both Lady Gaga and Gwen Stefani wear gorgeous heart-shaped diamond rings. 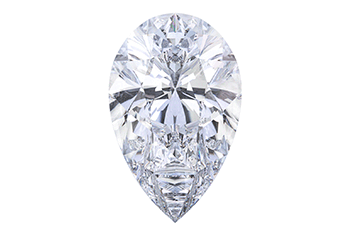 The pear cut diamond goes by many names. It might be called the raindrop or the teardrop diamond, because its shape looks like both of those objects. It boasts one rounded end and one pointed end, and it is a stunning and elegant diamond shape. 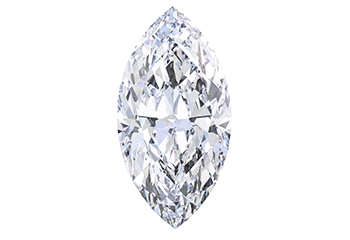 A pear shaped diamond is a cross between a round diamond and a marquise cut, offering the best aspects of both in a single gem. They are cut for brilliance, so this is a design that will capture light and sparkle beautifully on your finger. Some of the top celebrities wear pear cut Diamonds on their fingers. Victoria Beckham and Zoe Saldana are just a few of the women who show off brilliant pear Diamonds.